Trunks was alerted to the fact that something was wrong only when the tattoo-like signs on his shoulder and arm began to tingle. In a couple of moments, they started to glow red as well. It was then that he knew that they had gone too far with their spar. The contract had been activated and Gohan’s body was automatically drawing the necessary life-force from him. “I’m so sorry,” Trunks said, reaching his arm out towards Gohan. He suddenly realized that he wasn’t even able to move. It really had been incredibly foolish to draw their spar out for such a long time. 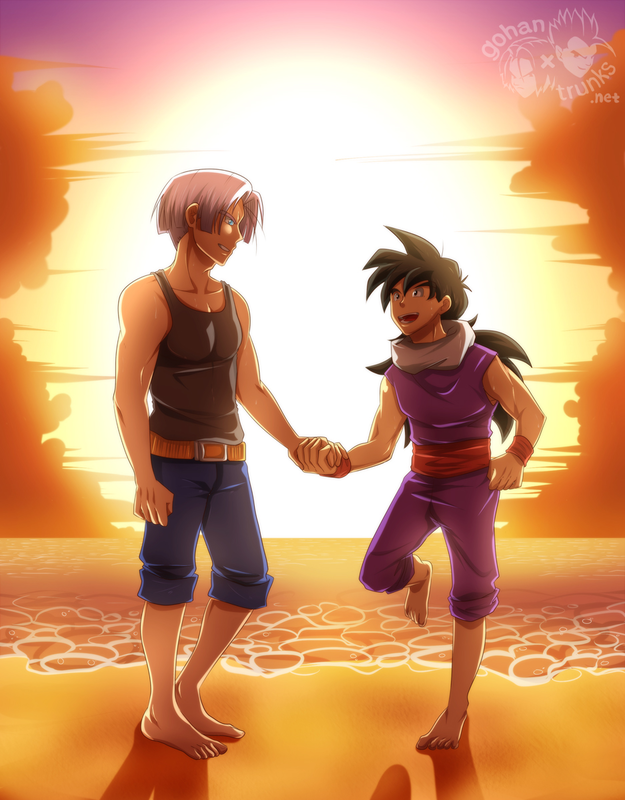 “Just help me go to bed,” Gohan muttered, reaching for Trunks’ outstretched hand. He was so tired that he could barely lift his head.